A legal issue affecting your family can be stressful, difficult, and emotional. At the Law Offices of Daniel K. Newman, we focus on the legal aspects of our clients’ cases, so they have more time to manage the human aspects. We know that people often feel overwhelmed by family law conflicts and don’t know how to handle them. We are equipped to take care of the legal issues, helping you make smart decisions that keep your long-term goals in perspective. Whether you are facing a divorce or a child custody dispute, we can help. The Law Offices of Daniel K. Newman have the resources to handle even the most complex family law disputes. In complicated matters, we regularly work with experienced professionals, such as accountants and child psychologists, to help our clients achieve the best possible results in family law proceedings. We apply more than 30 years of legal experience to help our clients protect their rights, both now and in the future. Our experience includes extensive trial work, complex negotiations, and civil settlements with verdicts of over a million dollars. While family law proceedings do not typically involve million-dollar jury verdicts, the stakes are just as high in many cases. They often affect the people you care about most: your family and your children. That is why we take our duty seriously to help you achieve the most favorable results. To talk with a lawyer about your family law concerns, contact the Law Offices of Daniel K. Newman by calling (856) 309-9007 or completing our online form. We offer free initial consultations regarding a wide range of family law issues, such as premarital agreements, paternity actions, divorce, child custody, spousal support or alimony, and division of marital property. 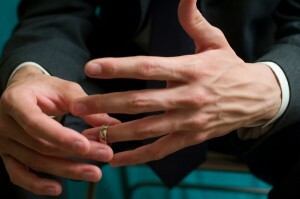 We advise and represent people in civil unions or domestic partnerships, as well. Our law office is conveniently located in the Greens of Laurel Oak office park. Free parking is available.